Think your mind has turned to mush? Here’s what the experts have to say about mommy brain. Forget to pick up the dry cleaning on your way home from your last prenatal appointment? Have trouble finding the files you needed for a project at work? You can bet someone will mention that you’re getting “mommy brain.” But is it true? Has impending motherhood really diminished your mental capacity? In her book, The Mommy Brain, Katherine Ellison reviews the research, which turns out to be somewhat contradictory. 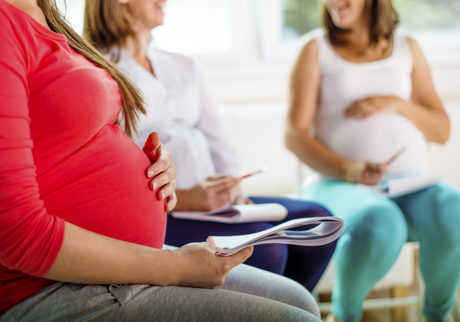 Some researchers have reported that pregnant women and new mothers had lower scores on tests of cognitive ability, particularly those involving verbal memory, but other studies produced different results. Although you may find yourself becoming more forgetful during pregnancy, you might also find that you’re sharper when it comes to some of your senses. Many women find their sense of smell is more acute during pregnancy and postpartum, which helps them avoid foods that might be a bit off or have toxins, and to distinguish their babies from other newborns. And don’t worry, your brain hasn’t become a total write-off. Pregnancy and early motherhood are the perfect environment for a lot of learning, observes Ellison. In her book, she points out that this is a time of many new and often challenging experiences, in a context of positive emotions. Donald Buckley, professor of biology at Quinnipiac University in Connecticut, agrees that these are conditions that promote learning and further brain development. Another part, though, has to do with the physical realities of pregnancy, as well as the childbearing year. Pregnancy can be tiring; you may also be suffering from morning sickness or dealing with other complications. Once the baby is born, you may be up several times during the night and barely have a moment to shower or eat during the day. Who wouldn’t get a lower test score if she was throwing up three times a day, or surviving on less than five hours of sleep? Buckley says that evolution would support new mothers having smarter brains, not slower ones. They need to be able to manage the responsibilities they had before baby arrived and add several new skills to meet baby’s needs. He points out that when women process information, more areas of the brain are activated than when men process the same data. These active areas in a woman’s brain also have more communication between them. Buckley says this may explain why women tend to be better at multi-tasking. After you have a baby, being able to multi-task becomes essential: It’s an everyday thing to be reading a book to your toddler while adjusting your newborn’s latch at the breast and keeping an eye on the potatoes boiling on the stove, while mentally estimating how long it will take to cook up the burgers.